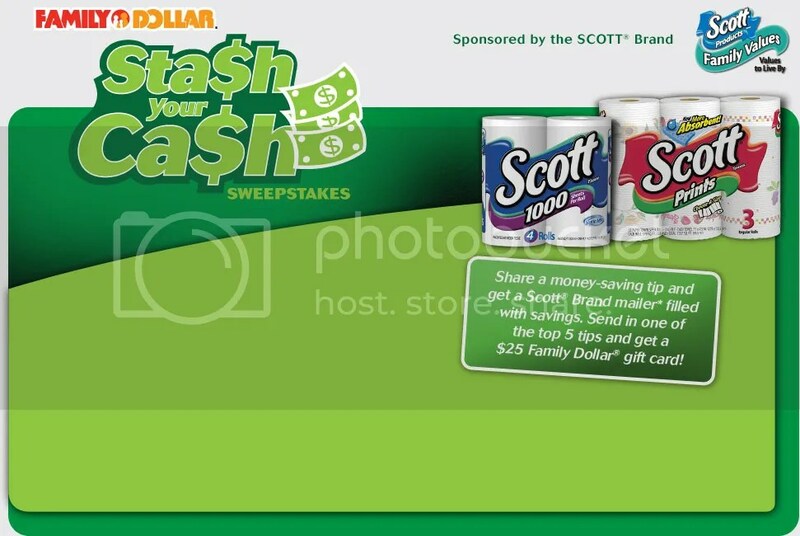 When you enter the Family Dollar Stash Your Cash sweepstakes by submitting a money-saving tip, the first 20,000 entries get a Scott Coupon Booklet by mail (with $2.50 worth of coupons inside). Thanks goes to Money Saving Mom for this tip! Plus 600 people will win a $5 Family Dollar gift card. You should receive your coupon booklet in about 6 to 8 weeks after entering. Please note this sweepstakes is not available in Alaska, Hawaii, California, Montana, Oregon or Washington.